The office of Dr. Crawford has dental services for every member of your family! If patience, compassion, and a variety of dentistry treatments are things that you look for when you’re trying to find a dependable dental practice, then Shana X. Crawford is the dentist for you and your family’s oral hygiene needs! Dr. Crawford has a variety of services to offer patients in her Dallas, North Carolina office, and our staff can’t wait to help your entire family achieve optimum oral health. The goal is to help you keep your mouth as healthy as you can, so we see patients every six months for general dentistry examinations. Dr. Crawford can instruct you on proper oral hygiene if you need it, and will keep an eye out for plaque and calculus buildup. We also see patients for emergency dentistry problems between scheduled appointments. Our team knows that accidents happen, so we’re more than happy to aid you in your time of need. Dr. Crawford can also perform root canals at her Dallas, NC practice. You know better than anyone that children can be a lot to handle, which is why it can be hard to find the right dentist to examine your loved ones. Dr. Crawford is up to the challenge, however, and sees children as young as two years old. Our children’s dentistry staff is gentle and careful while providing the youngest members of your family with the dental hygiene education they’ll use for the rest of their lives. Dr. Crawford can see your son or daughter at our Dallas, NC office to make it easier for you to schedule the entire family’s appointments all in one convenient location. As the years go by, you don’t want to sacrifice the wonderful smile that graces you. Our restorative dentistry services can help you maintain the face you’re used to seeing in the mirror. Dr. Crawford fits patients for dentures and partials so you can continue to enjoy your favorite foods! If you want a more permanent solution to your tooth loss, we offer dental implant restoration at our Dallas, North Carolina location. 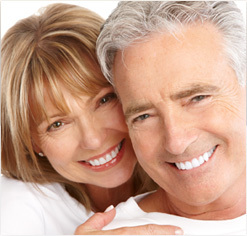 Our restorative dentistry team is compassionate and ready to help you keep your self-image with our services. Improve your smile’s aesthetic appearance with cosmetic dentistry from Dr. Crawford’s office! We have Opalescence Boost teeth whitening treatments for when you want to brighten up your smile. We also have porcelain veneers to hide damage like chips and cracks in your enamel, and veneers can be used to disguise teeth which are permanently stained from age or medications like tetracycline. In our Dallas, NC location, our cosmetic dentistry team regularly fills and bonds teeth with natural-colored composite to give your smile a whole, unaltered appearance. Dr. Crawford offers convenient care and comfort! Your dentist should be concerned with your relaxation as well as your oral health. Dr. Crawford has combined both of these important aspects into her Dallas, North Carolina office. Our team wants you to feel at ease during dentistry appointments, so just let us know if there’s anything that we can do to help you feel more at home. If going to the dentist makes you nervous, Dr. Crawford offers oral conscious sedation to ease you into a more calming state. She can write you a prescription that you’ll pick up from her office and get filled a few days before your appointment. Contact our office to schedule your appointment today. Dr. Crawford’s office is located in Dallas, North Carolina, and she also sees patients from Applecreek Village, Gastonia, Bessemer City, and the surrounding communities. If you’re a new patient, click here to find out about our accepted forms of payment and flexible dental financing options. Our office hours are extended for your family’s convenience, which is why Dr. Crawford sees patients from 9 – 12 on every other Saturday. She knows that it can be hard to work around school hours! ©Copyright 2013 Shana X. Crawford, DDS. Site designed and maintained by TNT Dental.